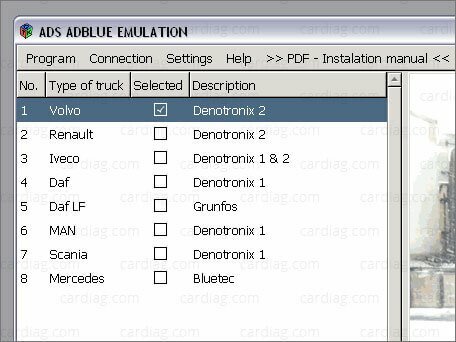 AdBlue Emulator V4 NOx is designed to support various trucks made by several manufacturers. It supports vehicles made by MAN, DAF (even DAF LF series with Grundfos AdBlue SCR system onboard), Iveco, Volvo and Renault. AdBlue Emulator V4 NOx allows you to override original SCR (selective catalytic reduction) system to cut off DEF (diesel exhaust fluid like AdBlue) consumption without any unwanted factors like engine power loss, additional smoke from the exhaust system and DTC errors in OBD system. This device makes it clean and there will be no mentioned problems at all. 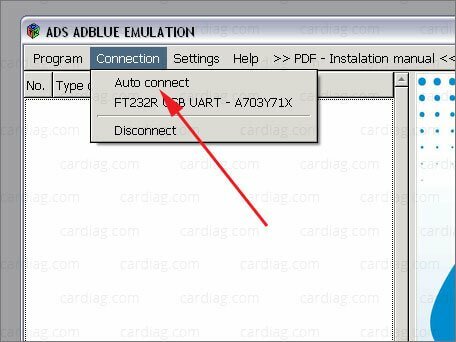 You can purchase already programmed AdBlue Emulator V4 NOx or you can buy individual programmer designed precisely for this emulator and program it anyway you need. There are no restriction how many times you can change program and same device can work with all supported trucks, you just need to change the program. 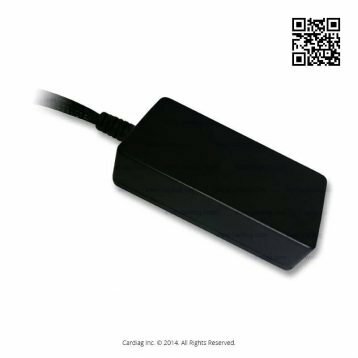 You need to use genuine V4 emulator programmer for SCR Emulator V4 NOx programming. It’s easy to make a connection between your V4 emulator and PC for programming. Just connect programmer wires (blue, white, grey and brown) to wires of emulator to the same color wires (blue programmer wire connects to blue emulator wire, brown to brown, white to white and grey to grey). 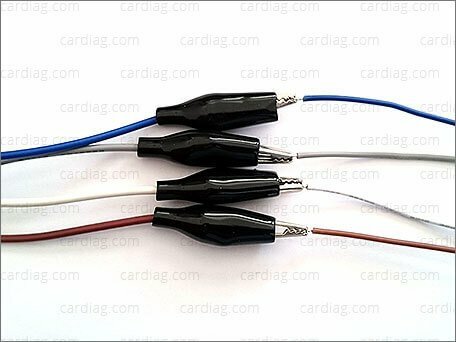 Carefully connect these wires and then connect USB cable to programmer. When you connect programmer and emulator to your PC for the first time you will need to install necessary drivers. Drivers are included with programming software. 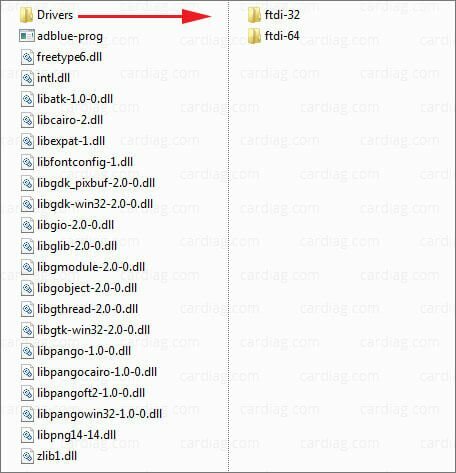 Open directory where you have extracted programming software, there should be directory called “drivers”, open this directory and there should be two directories “ftdi-32” and “ftdi-64”. 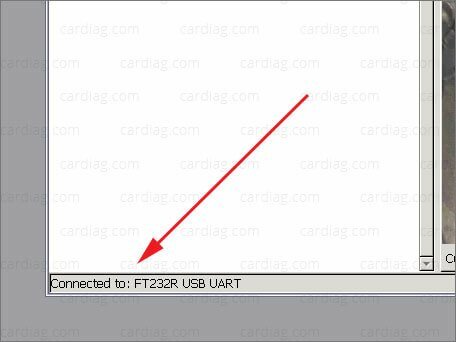 Directory “ftdi-32” holds drivers for 32bit Windows versions and “ftdi-64” holds drivers for 64bit versions of Windows. 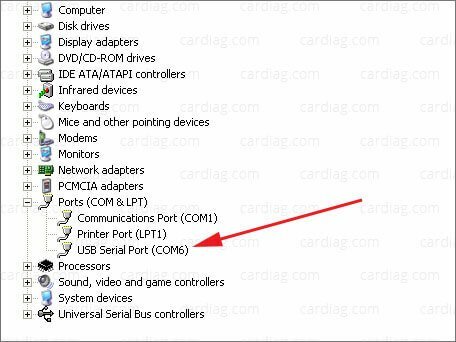 After installing programmer drivers on your PC you’ll be able to change connection parameters that are used for PC and programmer connection. 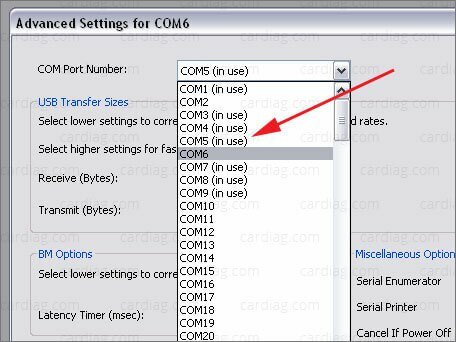 The main thing what you need to do is to change port number for programmer, it is very important to set programmer to a port – “COM 5”. If your programmer will be configured to use any other COM port you won’t be able to connect it to emulator. 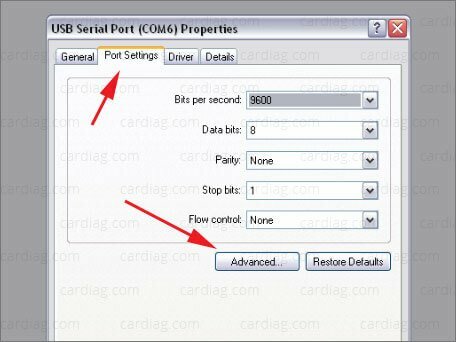 It’s easy to change port settings for V4 emulator programmer. 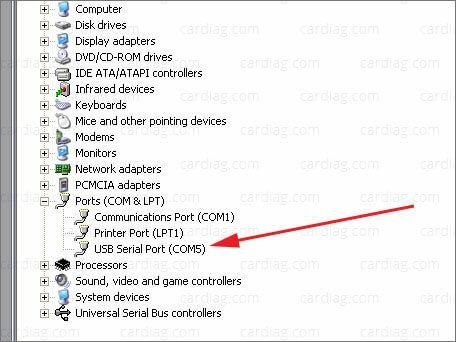 Go to Start → Control Panel → System → Hardware (tab) → Device Manager → USB Serial Port (COM + number of current port, if it is set to 5 don’t make any changes and you can avoid next steps, programmer is ready for work) → Properties → Port Settings (tab) → Advanced → COM Port Number (drop down list) → select COM5 (even if it says that it is in use) → save changes, ignore notice “This COM name is being used by another device…” just press “Yes” button → now you should see programmer in your device manager listed as “USB Serial Port (COM5)” if you see this device with COM5 port your programmer is ready for work. Now when you have connected and installed programmer you can launch programming software. Select menu item “Connection” and then press second level menu item “Auto connect”. Now you should see list of truck makes that you can choose for emulator programming. Select checkbox of the truck make you want, wait for a few seconds and that’s it. Your emulator is programmed automatically to selected truck make support. If you want to change any additional parameters read the manual section “Additional parameters” below otherwise just select menu item “Connection” and press second level menu item “Disconnect” (when you press “Disconnect” you can unplug USB cable from programmer and unplug programmer wires from emulator, your emulator is ready to be installed on the truck). You can add and change additional parameters to emulator program settings. Every vehicle make has it’s own additional function list (below the vehicle make list). When you select any of those vehicle makes you will see what kind of additional parameters you can change and add (except DAF LF Grundfos, program for these vehicles is completely automated, there is no need to add additional parameters). 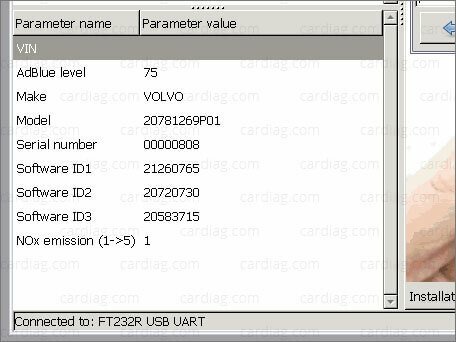 Some of the supported vehicles requires VIN (vehicle identification code) to be programmed into emulator for complete compatibility. Besides VIN programming you can change emulated level of AdBlue fluid, NOx emission level, serial number, DIS, ID, DTC erase and other parameters. Still we recommend to keep default settings and to make changes in these additional parameters only if necessary due to compatibility issues with the truck. To finish programming session please select menu item “Connection” and then “Disconnect” item. 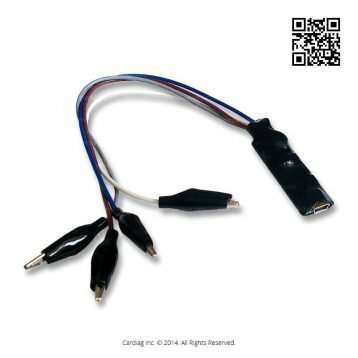 Disconnect USB cable from programmer and then you’ll be able to safely disconnect programmer wire clips from emulator. Your emulator is ready to be connected to the truck. V4 programmer software is compatible with Windows XP, Vista, 7, 8 versions (both 32bit and 64bit., but we recommend to use 32bit versions). This manual shows example of V4 emulator programming performed on Windows XP 32bit system with Programmer for SCR Emulator V4 NOx device. 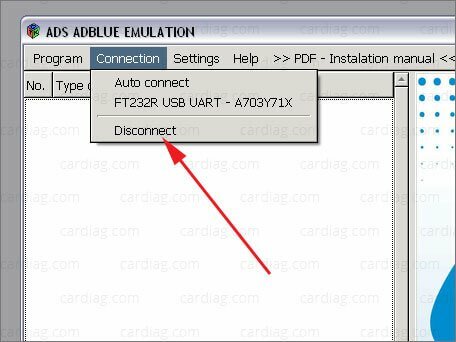 AdBlue Emulator V4 NOx programming was last modified: June 14th, 2017 by Cardiag Inc.